M.F. SMITH ASSOCIATES ~ WHO WE ARE . . .
We are a small General Contracting company in business to take care of all your housing needs. Our experience covers everything to do with residential construction, remodeling, repairs & maintenance. MFSA is a Design / Build company. We can take your vision and make it come to life in 3D CAD . . . whether it is a simple addition, a new bath, a kitchen . . . or a new home. We can also work with your plans or work with your architect or designer to develop cost effective projects. From concept to turnkey ~ We can do part or all of the complete project. We hang doors, replace windows, re-do siding, frame additions and homes and remodel baths & kitchens. Our personnel are qualified in all the trades from foundations to roofing, from flooring to painting. Our training never ends. 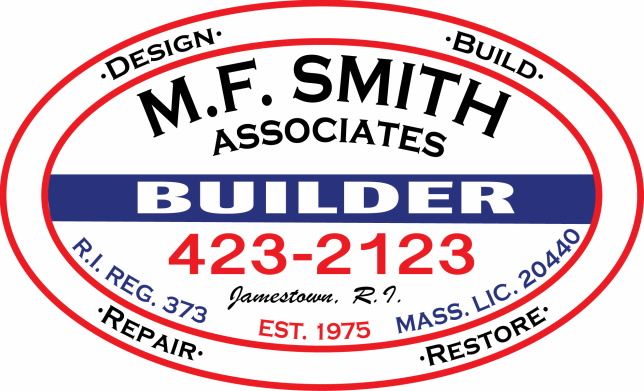 We are a member of the RI Builders Association (and NAHB) and our personnel are continually taking courses in construction related certification for installers and required safety and environmental best practices. We also have a long standing relationship with trusted, licensed sub-contractors for electrical, plumbing & heating. We use specialty subs for large projects to ensure you get the most effective use of your housing budget. Our sub-contractors do excavation, landscaping, foundations, concrete flatwork, flooring, tile, plaster, painting, roofing and everything else that would be included in your project. ​We are proud to offer new homes that have earned the ENERGY STAR® label. ENERGY STAR® qualified new homes are substantially more energy efficient than homes built to the minimum code requirements. Our ENERGY STAR® qualified new homes are independently verified by a third-party Home Energy Rater to ensure they meet ENERGY STAR® energy efficiency guidelines. These homes are better for the environment and better for you. Learn more about ENERGY STAR® qualified new homes at http://www.energystar.gov/.